A new era begins for Mater Dei Girls’ lacrosse. The class of 2017 with their two Southern Section championships, five Division 1 players, and 61 wins has moved on and passed the torch to a new generation of Monarchs. While some opponents may think this is cause for celebration, they may want to think twice. Coach Cressita Bowman has another group of talented players ready for the transition. The biggest question for Mater Dei will be how to replace the 229 goals scored last season by Grace Houser, Lauren Gonzales, MacKenzie Wallevand, and Maddie Hooks. Juniors Peyton Smith (25 goals) and Tess Keiser (21 goals), and senior Sydney Payne (15 goals) are all proven scorers and should be ready to step up to leading roles. Smith played attack last season, Keiser and Payne were in the midfield. All three are on the All-County Watch List. The Monarchs defense, which allowed only 7.3 goals per game last year, proved to be every bit as stingy as the offense was productive. Watch List members, juniors Jamie Ko, Gianna Danese, and senior Hailee Andry should play important roles in keeping the goals against number down again this year. Ko, listed as a midfielder this year, has the athleticism to make her presence felt all over the field; she started out as a defender earlier in her career and has also played some attack. “Groundball Gia”, a former Workhorse of the Week, had 16 takeaways and 34 groundballs as a sophomore. Andry is expected to play defense last year and was also among the team leaders last season in takeaways and groundballs. As they have in recent years, the Monarchs will beef up their schedule with several games against top teams from outside the area. On the docket for this year, to name just a few, are La Costa Canyon, Torrey Pines, St. Ignatius, and Kent Denver. 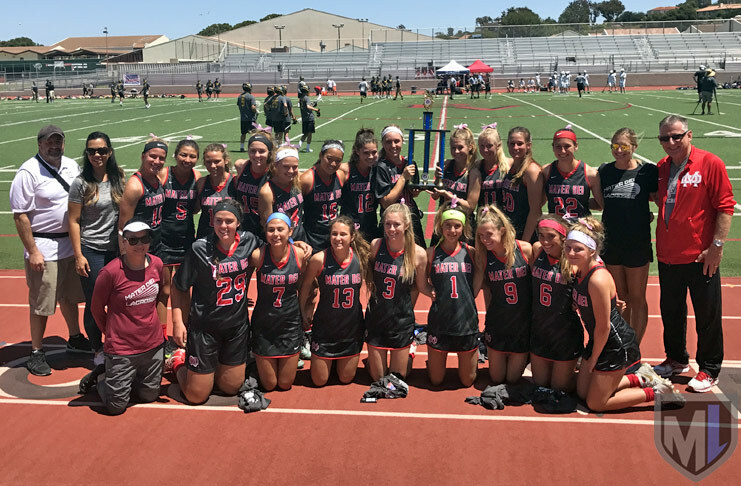 They begin their quest for a 3peat on February 27 in a home game against Newport Harbor that will be live streamed by MaxLax.